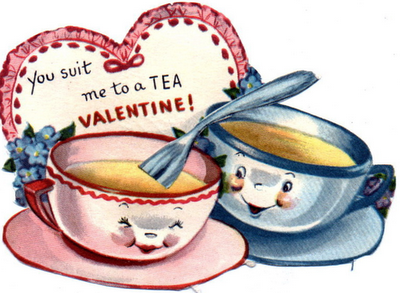 New Wave Domesticity: 101 Adorable Valentine Puns! 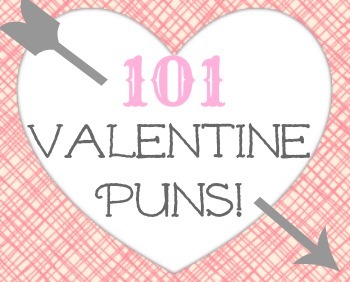 I obviously really like puns & there is no better holiday to break out the puns than on Valentine's Day! A silly little pun paired with a cute image is a recipe for valentine perfection in my book. It harkens back to my favorite valentines of the 30s, 40s, & 50s. A silly pun is the perfect starting point for your crafty valentine making this year, so dive in and shower your friends and loved ones with some punny love! Orange : You’re my main squeeze / Orange you glad you're my valentine? Peach : You are such a peach! Woodgrain, Tree : Wood you be my Valentine? What are your favorite puns? What did I miss? We are MINT to be : DIY buttermints recipe + printable! Sew glad we're friends : mini sewing kit! I think my favorites are the hotdog and the viking ones. They are gold. After seeing these, I made a valentine with a picture or a sheep and it said "I love ewe. Wool you be my valentine?" A lot of these are great and I wish I'd seen them earlier because I just made a bunch of valentines for assisted living old people. I spent the whole time trying to think of puns and only came up with one. The front of the card said, "What time is it right now?" and the inside said, "It's Valen-time!" and I drew a heart-shaped clock. Your post is very puny. Reading your post I can remember my puny memories. One day I & my friends were playing at night after load shedding occurred. It was funny but fearful also. I was searching for my friends in the darkness but they concealed themselves from my eye. It was dark outside & I was searching. In the mean time, Suddenly one of them came in front of me like a ghost. I was crying to see sudden surprise. Oh! That was very puny. Just read this on another site: I "moustache" you to be my Valentine. cuuute! :) checked out ur instagram~ cool art! I love these puns, just what I was looking for! Valentine’s Day celebrates love, romance and togetherness. Celebrated on February 14, this day sees people across the world spending time with their loved ones, one way or the other. From special dates to candlelight dinners, from surprises to hunting for gifts together — Valentine’s Day is much more than just whispering sweet nothings to each other. Even those who are away from each other in terms of distance, try and spend time with each other on this day. It’s true, the Day of Love has something for everyone who understands and values true love.